During the month of Ramzan, a huge temporary food court called Zaiqa-E-Ramzan comes up at Mehdipatnam, Hyderabad. 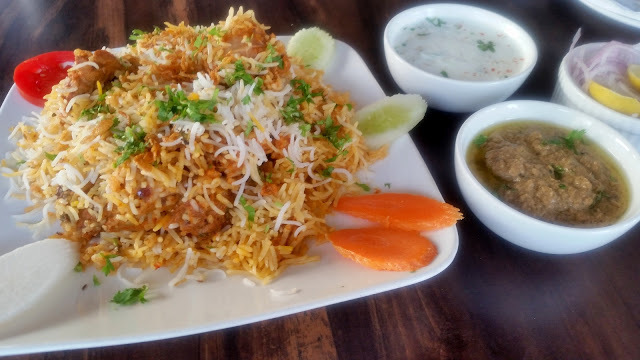 This has become extremely popular, as under one roof one could taste all types of delicacies from Hyderabadi cuisine, starting from Paya Shorba, Bheja Fry to Murgh Paiga and Double ka Meetha. Buoyed by the success of the venture, Food Krafters and Services has now started a dine-in restaurant at Banjara Hills offering mainstream Hyderabadi cuisine, and aptly named Zaiqa-E-Hyderabad. Chef Pradeep Khosla, CEO and Corporate Chef, who heads the culinary team here needs no introduction. With more than a decade in Taj Krishna, he is credited with the name and fame of Firdaus, their signature fine dine restaurant. Chef Khosla is an absolute authority on Hyderabadi food. I have known Chef for a few years now and am an admirer of his food, so when he invited me to his restaurant, I was really looking forward to try out his creations. 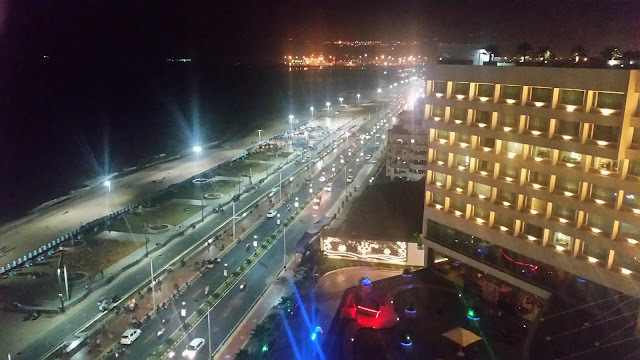 The restaurant is located at a very vantage location on the busy Road No 3 Banjara Hills. The management has tried to build in a true Hyderabadi ambience in the restaurant. Just outside the restaurant an old Hyderabadi vintage automobile is displayed. 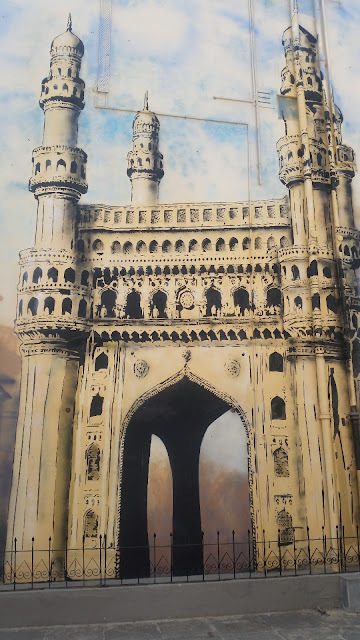 The main dining room has photos of old Hyderabad adorning the wall. The ceiling has been given a rust-like finish, and the chairs and tables are refurbished classy cane and metal furniture. There is an open courtyard next to the hall, with a stage which can be used for performances. This courtyard has a huge Charminar painted directly on the wall. The carefully curated menu has only about thirty items as the endeavour is to present authentic food with high-quality ingredients. Rigorous processes are being followed for sourcing of key items like mutton and saffron. 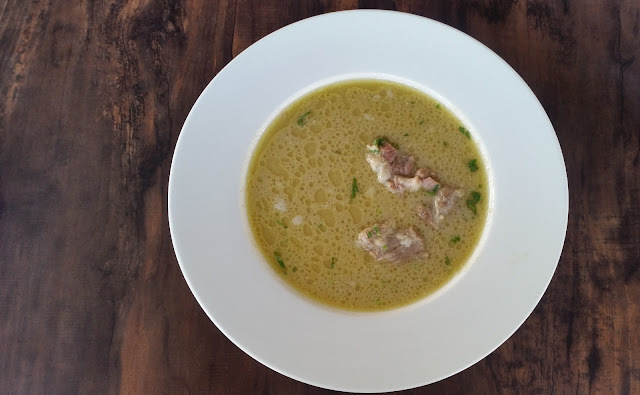 After a guided tour of the restaurant, we were served Marag, a thin broth of lamb with saffron and select nuts. My friends who had visited this place earlier had said that the Marag here was extremely classy, and after tasting I concurred with this view. A redeeming feature was the quality of lamb. I was told that special effort is taken by the culinary team to select the meat directly at the outlet. Marag was followed by three different kababs. 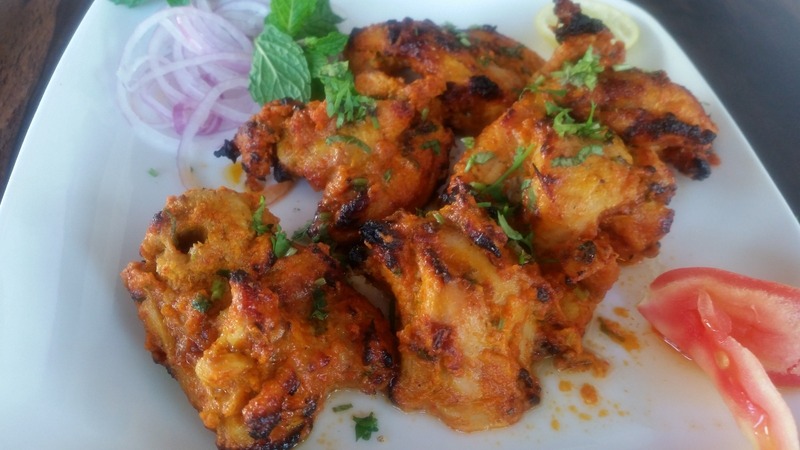 Sona Zaffrani Tikka was a saffron flavoured boneless chicken kabab, cooked over charcoal. 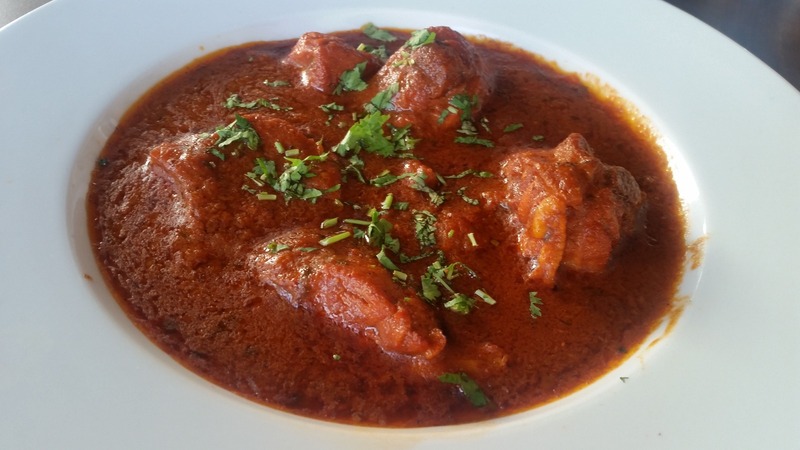 The soft meat with the delightful (but not too spicy) masala with the smoky flavour was truly enjoyable. 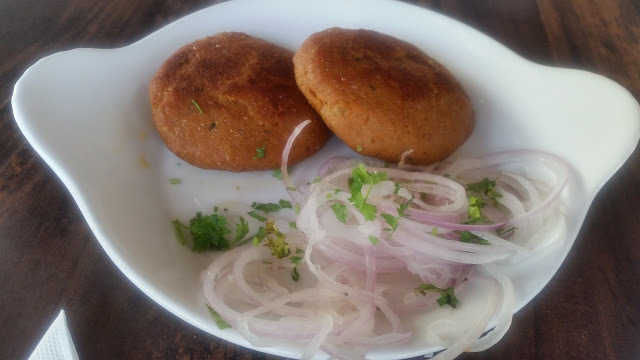 The Hyderabadi Shikampur patties came stuffed with ample amount of boneless shredded mutton, well combined with onions and green chillies. 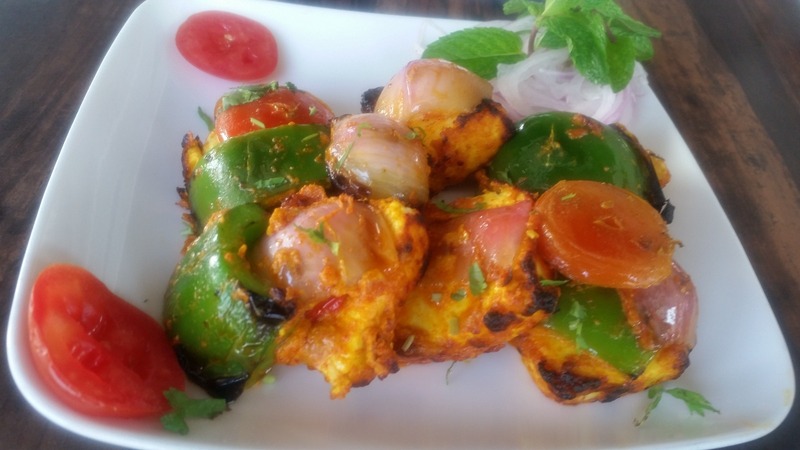 For my vegetarian friend, Paneer Tikka was served in onion, tomato and capsicum slices. Again, the quality of paneer demonstrated the restaurant’s strict quality bias in sourcing. The starter menu also had other interesting items like Lukmi, Tali Hui Machhli and Chicken 65. I would have loved to see Paya Shorba and Talawa Gosht in the list too. However, I was told that the restaurant is not planning to have too large a menu, rather they wish to be consistently good in the select dishes that they offer. The next dish was the redoubtable Haleem. The boneless offering here is served with abundant cashews and fried onions, and is much meatier than other places. The ghee component was a bit less (which was not to my liking) keeping in view the health consciousness of the clientele. 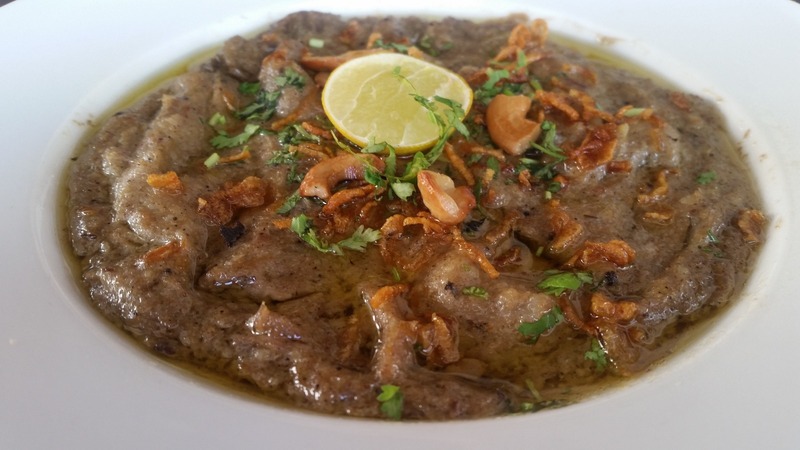 To enrich the taste, Zaiqa-E-Hyderabad has a mutton to wheat ratio of 4:1. Kheema is a popular Hyderabadi dish which can be enjoyed as part of breakfast, lunch or dinner. 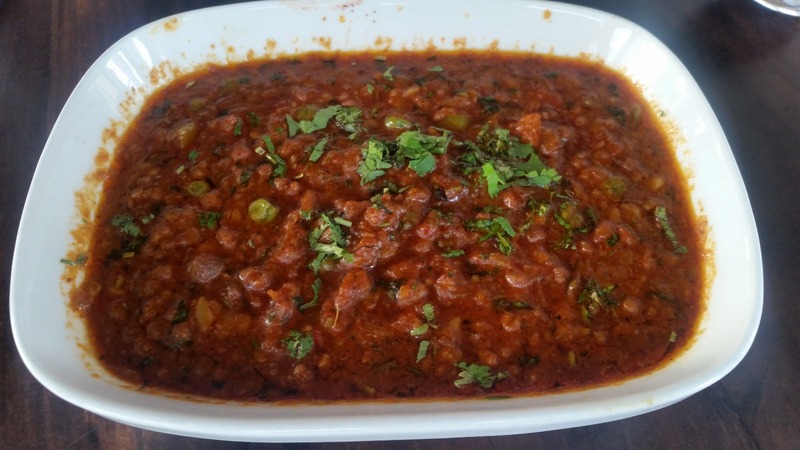 The restaurant prepares a dish called Kheema Matar (minced meat cooked with peas), with a very balanced taste, which can be relished with the rotis and naans. Lagan Ka Murgh, another Hyderabadi favourite was a tad too sour for my palate. Dum Ka Paneer was a dish for the vegetarians which acquitted itself quite favourably. A proper Hyderabadi lunch can never be complete without biryani. Zaiqa served some really quality Kachhi Gosht Yakhni Biryani, where ample masala and soft mutton as well as good quality basmati combined together to titillate the taste buds. 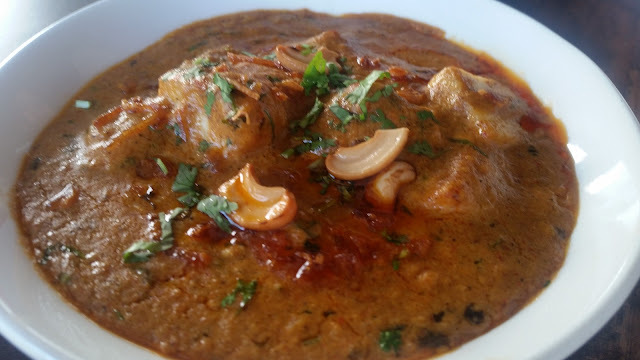 The Mirchi Ka Salan and Raita were also quite authentic and not watery at all like the popular Irani joints. The main courses menu has some other interesting items too. A few that drew my attention were Osmani Jhinga (a Hyderabadi prawn preparation), Asaf Jahi Gosht Korma (something I really liked at Zaiqa-E-Ramzan, a mutton and potato gravy), and Nizami Handi (mixed vegetables Hyderabadi style). The desserts served had Badam Ki Kund, a heavy but mildly sweet dessert with ample nuts which was obviously my favourite (I like milder sweets). My friend loved the Double Ka Meetha. 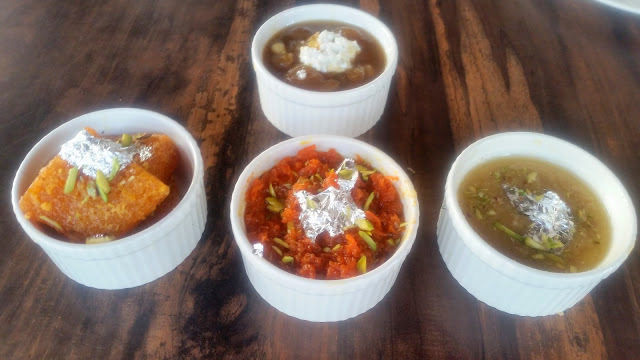 Qubani Ka Meetha and Gajar Rishta (a saffron and ghee laden heavier version of grated carrot halwa) were the other desserts served. A compact and carefully selected menu, a lot of care taken to retain the authenticity and a strong desire to provide quality ingredients will all contribute to ensure that the food lovers will have a good time at Zaiqa-E-Hyderabad. The place definitely merits more visits to try out the other items. 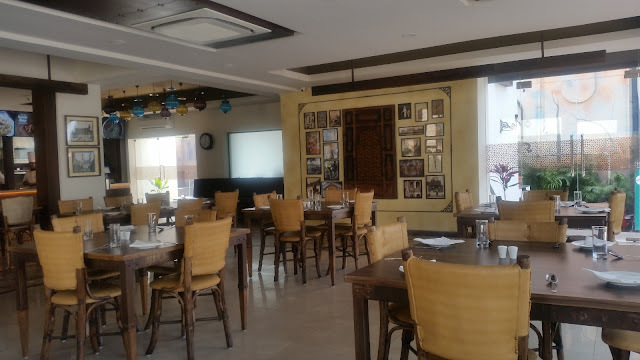 Also, this is definitely one of the best places to take your family out for a delicious Nizami lunch or dinner, or for introducing visitors to the city to the authentic local cuisine at a moderate cost.